University of Queensland Geology staff in 1927. WH Bryan MC is fourth from left, centre row. Fernvale, south east Queensland, 1930. Left, Prof. HC Richards and WH Bryan MC (right). University of Queensland student field trip led by Prof WH Bryan MC (4th right). The Bryan Foundation has established the new WH Bryan PhD Scholarship in the Earth Sciences. The Scholarship commemorates the legacy of Professor WH Bryan MC, who made many fundamental, impactful and diverse contributions to the geology of Queensland, tertiary education and societal wellbeing. The submission period for scholarship applications has now closed and the successful candidate will be notified in early June 2018. The successful candidate must be hosted at one of three tertiary institutions in Queensland —The University of Queensland, Queensland University of Technology and James Cook University — and will be selected by a panel of eminent earth scientists who have been heavily involved in advancing Queensland’s Earth Sciences sector over many years. 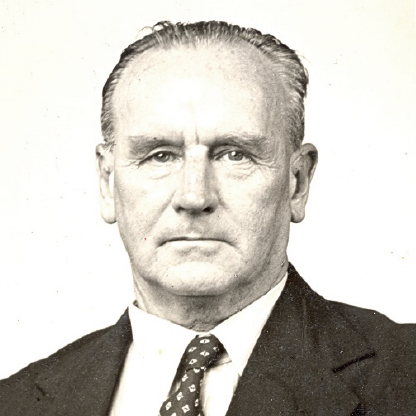 Geologist, educator and decorated military veteran, WH Bryan was born in Brisbane in 1891 and was one of the first Bachelor of Science graduates from the University of Queensland, majoring in geology. He then went on to become the first graduate from their Honours program in 1914. WH Bryan was employed by the Geological Survey of Queensland, before he enlisted in the Australian Imperial Force (AIF) in 1915 where he served at Gallipoli, in Egypt and then on the Western Front from 1916-1918, where he was awarded the Military Cross for gallant conduct and bravery. 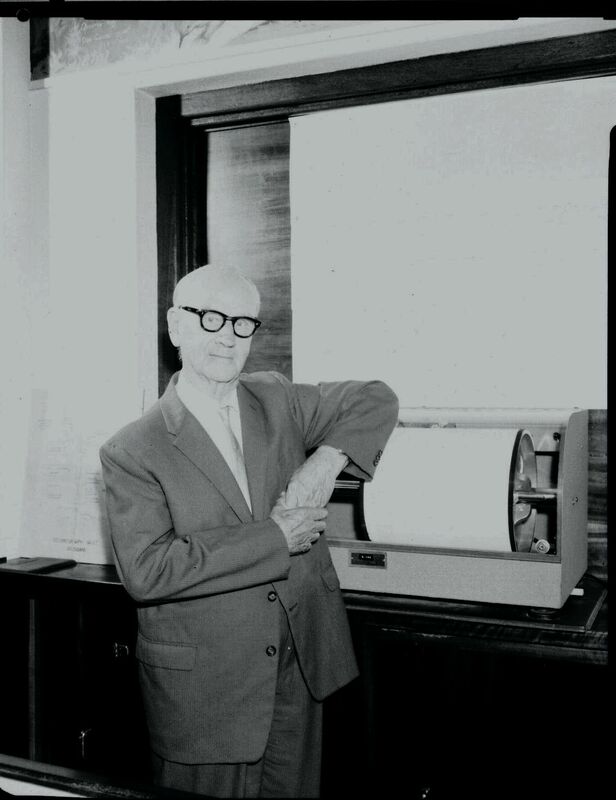 WH Bryan MC beside the seismograph that used to be in University of Queensland’s original museum on the ground floor of the Richards Building. Following WWI, WH Bryan undertook postgraduate study at the University of Cambridge in 1919 before returning to Australia where he was appointed a lecturer at the University of Queensland in Geology in 1921. He was appointed as Professor and Chair of Geology and Mineralogy in 1948 following the death of Professor HC Richards, becoming only the second Professor and was head of department until his retirement in 1959. He was then appointed as Emeritus Professor in 1960 and continued his research until his death in 1966. In 1926, WH Bryan was the first student at the University of Queensland to receive a D.Sc. His D.Sc. thesis was on earth movements in Queensland and following the 1935 earthquake in Gayndah, Queensland, he led the establishment of the seismological station at the University of Queensland. His passion in seismology accelerated cyclone forecasting and warning in the decades before satellites would transform weather forecasting. WH Bryan and his colleague, Owen A. Jones lobbied for further stations based in north Queensland to assist with accurate weather forecasting of cyclone events, earthquakes and sea disturbances. WH Bryan worked on many committees throughout his career. He was President of the Royal Society of Queensland in 1925 and was Deputy Chairman of the Great Barrier Reef Committee for many years, playing a critically important role in fostering scientific research and conservation of the Great Barrier Reef. He was a founding member and first Chairman of the Geological Society of Australia, QLD Division, President of the Royal Society of Queensland in 1945 and President of the Geological section of Australian and New Zealand Association for the Advancement of Science (ANZAAS) in 1946. WH Bryan was also editor of the Royal Society of Queensland’s Journal and Patron of the Gemological Association of Queensland. WH Bryan published over 70 papers during his career and undertook much pioneering work on a diverse range of topics including volcanism, earthquakes, stratigraphy, marine geology and landscape evolution. Igneous petrology was probably the most persistent areas of research during his academic career. He particularly drove much of the seismological research and monitoring in Queensland and The University of Queensland Seismology Station that he started and named in his honour, continues today at Mount Nebo in south east Queensland. WH Bryan was one of the principal drivers in understanding the regional geological history and stratigraphy of Queensland. In 1991, the University of Queensland established the WH Bryan Mining and Geology Research Centre, named in his honour. 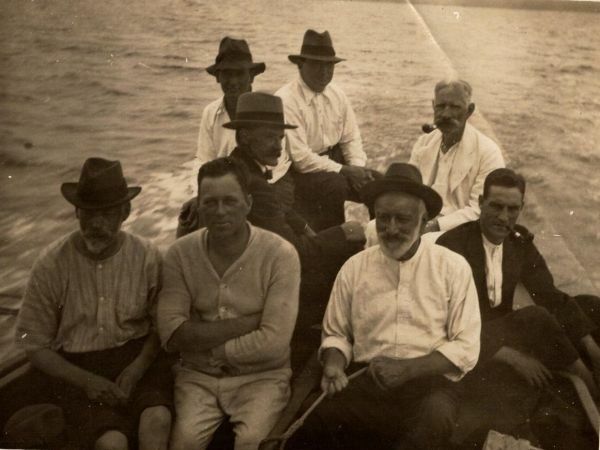 1924 field trip on Moreton Bay. WH Bryan is in the back row on the left. Photo credit: Prof. HC Richards, and courtesy of Bruce Martin. Full application guidelines can be downloaded here. Participating institutions can download the letter of support template here. The Bryan Foundation funds the WH Bryan Scholarship, which is closely aligned to the Foundation’s philanthropic activities and long-held vision in supporting and empowering people through education. Copyright 2018 WH Bryan Scholarship. Images supplied by former student of WH Bryan and retired Professor John Jell.